When teachers and schools are planning for class to be back in session, the priority is often on educational items- school supplies, writing utensils, art supplies, and other classroom essentials. It's not enough. Because just as a classroom is a place for learning, it's also an environment where both children and teachers are hard at work. That means keeping the room clean can be an ongoing battle, and not every mess can wait for the custodian. 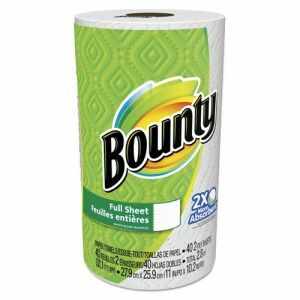 The standard tool in the arsenal is the paper towel. Spills involving all sorts of liquids from milk to paint are inevitable. Yet how often are the closest towels thin brown restroom towels designed for hand drying? Keeping a roll in every classroom handy will allow messes to be absorbed quickly and activities to continue with limited interruption. In addition, with dozens of children in the room, hands are bound to become dirty and the risk of spreading germs is high. At the first sign of a dirty surface, having disinfectant handy will reduce the spread of germs and provide for a cleaner, healthier classroom. 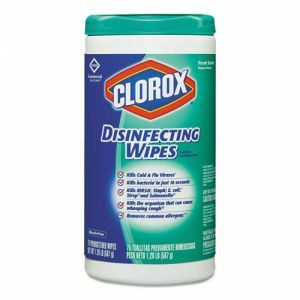 Many cleaning wipes also include disinfectants in their formulas, so it's a simple matter of wiping down the surface. Finally, another recommendation for the classroom to avoid germs is hand sanitizer. Keep some around for both personal use and for the class to share in order to keep kids healthy and promote good hygiene.